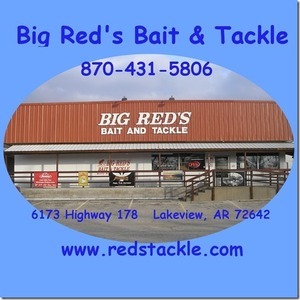 For all your bait and tackle needs, visit Big Red's! LIVE BAIT! Open 7 am - 6 pm Monday - Saturday. Closed Sunday.